The Australian Quarter Horse Association was incorporated in 1972 and over the years has expanded to serve a rapidly growing and diverse industry. In addition to preserving the breed through registration guidelines and record keeping, the AQHA is also dedicated to serving each of its Members.Â So with approximately 7,000 new registrations every year, AQHA's role continues to expand. Whether Australian Quarter Horses are still being used in traditional grazing operations, sporting disciplines such as Western Pleasure, Cutting, Reining or Working Cowhorse, the Australian Quarter Horse continues to skyrocket in popularity.Â The Australian Quarter Horse can be found in more traditional areas like Pony Club, Hacking, Dressage, Show Jumping, Polo, Polocrosse and through its natural cattle sense, Campdrafting. The AQHA strives to provide programs and services beneficial to all Members and ultimately the Australian Quarter Horse. 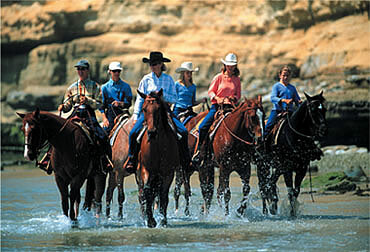 To record and preserve the pedigrees of the Australian Quarter Horse while maintaining the integrity of the breed. To provide beneficial services for its Members, which embrace and encourage Australian Quarter Horse ownership and participation. To develop diverse educational programs, materials and curriculum that will position the AQHA as one of the leading organizations in the Australian equine industry. To generate growth of AQHA membership via the marketing, promotion, advertising and the publicity of the Australian Quarter Horse.